Here at eFulfillment Service, one of the common questions we get from ecommerce sellers is how to ship products to their customers. In the video below, I describe the different ways to think about this topic, including choosing the right ship method, as well as how to choose the right order fulfillment method for your business. 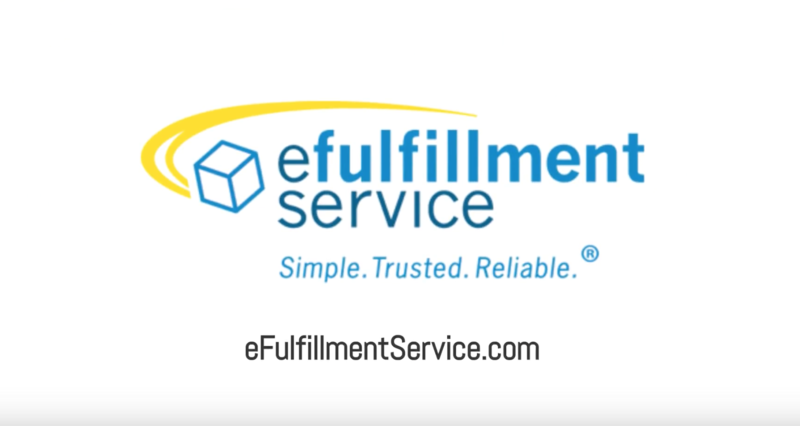 Hey there, this is Steve at eFulfillment Service, and today I wanted to talk with you about a topic that comes up fairly often when we’re talking with online sellers about their order fulfillment needs. And that topic is how to ship products to customers. One is shipping. Who is actually delivering the package from the warehouse to the customer’s door? The other is order fulfillment. How are you handling the warehousing and pick and pack part of the process? So, today I wanted to talk with you about shipping and the three major carriers, and how to make sure you’re cost-effectively choosing the right option for shipping. And also the order fulfillment and the various options with order fulfillment….drop shipping, in house, and outsourcing…and how to make sure to choose what’s right for your situation. With regard to shipping, the main three shipping carriers here are the U.S. Postal Service, FedEx, and UPS. Those are the big three for shipping direct-to-consumer ecommerce orders. From a reliability standpoint, which is obviously one consideration when choosing your shipping carrier, these carriers are all pretty reliable. They all have very large networks and have been around a long time, and generally you’re going to find that your package will be delivered on time based on the ship method you chose. The second option to consider is availability. For example, if you’re shipping to an Army Post Office (APO) or Fleet Post Office (FPO), you may be limited with your options, and the U.S. Postal Service generally handles those packages. If it’s a very large order, it’s a wholesale order going to a retail customer that’s a pallet, then you cannot ship that via Home Delivery by FedEx or UPS, so that would have to go freight. So today, I’m primarily referring to shipping small parcels direct to consumer. With FedEx, UPS and USPS, they are again comparable from a reliability standpoint. From a cost standpoint, though, it can vary quite a bit depending on a few different factors…. How far away from your warehouse are you shipping? Is the actual weight 2 pounds or 10 pounds? It would potentially impact the most cost-effective carrier in those cases. How big is the package? This is important, and it’s becoming increasingly important because, for example, USPS has different dimensional weight rules than FedEx and UPS. If it’s a very large box but is low weight, then you may find that USPS is more cost effective. One way to handle all of this from an automation standpoint, or a software standpoint, is to use tools, like ShipStation, which is a great one, and there are others that are comparable out there, but what they will basically do is…. That all happens after the fact, after the order has come through your cart and you’re able to pack it up and confirm the lowest-available rate. On the front end, while your customer is actually checking out, if you’re looking to charge them a best rate, or a live rate scenario where the shipping is totaled based on the products that they’ve entered in the cart, it becomes a little bit tricky, particularly when dimensional weight may be a factor. Most shopping carts allow you enter at least one package size that you’d likely put the order in, but it’s not a perfect science. Maybe the units don’t actually fit in that box. So I generally recommend monitoring your order history within the shopping cart, and just make sure that whatever formula you’re using, especially if you’re looking to calculate live rates as your customer’s checking out, that it makes sense. But after that, it becomes easier using a tool like ShipStation to confirm the best-available rate. The other thing to consider is obviously speed. For example, First Class Package Service from the Postal Service may not be as fast as, say, Priority Mail. In most cases, it isn’t, especially if it’s shipping a longer distance. And then you obviously have expedited options to consider, as well. One option is just doing order fulfillment yourself, and a lot of online sellers do that, especially when they’re starting out. Maybe they don’t have the order volume to justify using an outsourced order fulfillment company, and that makes a lot of sense in some cases. In other cases, maybe a seller has customizable products, so they essentially need to handle that on their end before the order goes out, and they would have a difficult time finding an order fulfillment company that could handle their needs. In-house order fulfillment is very common, especially for smaller sellers, those that need customizable services, or very large retailers that the order volume is consistent enough where they don’t have to worry about fixed costs and in-house order fulfillment just makes sense for them. Another option is drop shipping, which is basically when your products are being shipped from your suppliers. Drop shipping can be a great way to test out a new product without having to buy a whole lot of that product and warehouse it yourself. You could essentially try to find a supplier that would allow you to not carry stock but rather they will ship those orders with that product as they come through. The potential downside of drop shipping is that, in a lot of cases, it can be slower. If you have the stock, you can pick, pack, and ship it faster than sending that order to a supplier and having them have to produce that product, especially if they’re not carrying it in stock themselves. It may also be more costly, so you just have to weigh the costs. The manufacturers need to do the pick, pack, and ship part of it, so they may be charging for that, and you may also have to drop ship from two different locations. If you have an order with two different units, and one supplier had one product, and another had the other product, that would essentially be two packages going to the same location, which would be more costly than shipping from one location in one box. The third option for order fulfillment, and how to ship products to your customers from that standpoint, is outsourcing. eFulfillment Service is an outsourced order fulfillment company. We work with online sellers of all types and sizes, and a lot of our sellers come to us for all sorts of reasons. We have a lot of startups that basically don’t want to handle the order fulfillment. They don’t want to be tied down with that part of the business. They are limited in resources and they want to free up their time for other things rather than the shipping and order fulfillment part of it. You can easily scale up and down and you, yourself, don’t have to worry about staffing up and down, that is all on the order fulfillment company. You can rely on the company to flex up and down, not only seasonally or as you grow, but even week-to-week or month-to-month as your volume goes up and down. With an outsourced provider, if priced right, and if you don’t have high minimums that you have to deal with or some of those types of fixed costs, then generally you’re able to maintain a variable cost model with outsourcing your order fulfillment, rather than having high fixed costs with rent, or handling yourself, or high minimums with certain order fulfillment companies. If your volume is low or inconsistent, then it can cause your cost your per order to go up and down throughout the year, and even throughout the month. Those are the three basic order fulfillment models, and those are generally the three options for shipping. And with order fulfillment companies, when you outsource, they will use tools like a ShipStation, or maybe they have another tool or their own tool that they’ve developed to help rate shop packages, as well, and can even help you set that up on the front end with your cart to make sure you’re appropriately charging your customers. How you ship products to your customers really varies depending on the size of the order, the product being shipped, the value, the speed that’s required, but that can all be automated with the right tools and, if you’re using an outsourced provider, they’ll generally have those tools to make sure you’re cost-effectively shipping to the customer. Hopefully that was helpful, and we’ll see you next time for the next FAQ! What's the best way to get your products to your ecommerce customers? In this video, I cover both order fulfillment and shipping options. Thanks for reaching out! We integrate very well with Shopify, meaning we can automatically retrieve your orders from your cart. Once we complete the order fulfillment and ship the products to your customers, we’ll automatically send tracking and inventory numbers back to Shopify. The cost of our order fulfillment services depends somewhat on order volume and the amount of storage space required. We will reach out with more information on our services. I just started using big cartel and I’m not sure how I would get my orders directly to my customers without going through me. Any suggestions? Thanks for the comment. And that’s a good question! To ship products to your customers, you can obviously do that yourself, meaning you or your team are monitoring orders that come through your Big Cartel store and then you pick, pack and ship out the items for those orders. The other option, which our clients do, is to use an outsourced order fulfillment provider. How this works is that you send your inventory to the fulfillment center, they warehouse your merchandise, and, if they have the technology, they can integrate with your Big Cartel store so that they’ll retrieve your orders automatically. With some fulfillment companies, they can also push back inventory and tracking data, and facilitate the tracking emails to be sent to your end customers automatically. By using a third party logistics provider (3PL) like eFulfillment Service, you’re able to have more freedom and flexibility, and focus on some of the other things you may do best, such as designing, creating, marketing, etc. I am currently in the process of planning a workout shirt business targeted at a specific group of people online. I plan to advertise on social media, have a link to a website that we are currently building, and then have the order information directed to a fulfillment center. I plan to buy the shirts in bulk and keep them at the fulfillment center. Could you provide this service? What are the costs for your service? Thanks for the information. Thanks for the inquiry. Exciting to hear about the new business! Our fulfillment center does indeed provide that service, and we have a great deal of experience with shirts and apparel merchandise. In addition, due to our flexibility and track record, we work with hundreds of startups to help them grow their businesses. We will reach out soon to provide more information. Looking forward to possibly working together! Great question. For the most part, yes, the methodologies used to determine how best to ship products to end consumers also applies to B2B shipments. That said, one thing you’ll likely find different with B2B shipments is that the best ship method may be different (as compared to shipping to residences). For example, rather than choosing FedEx Home Delivery, which includes a surcharge to ship to a residence, you would want to go with FedEx Ground. Or, if it’s a very large shipment (such as over 150 lbs. ), you would want to arrange for a freight shipment via an LTL (less-than-truckload) carrier. Regarding the order fulfillment (pick and pack) of B2B shipments, if you’re planning to outsource that, your strategy for that may also differ, as not all ecommerce order fulfillment centers handle both D2C (direct-to-consumer) and B2B shipments. At eFulfillment Service, we do handle both, but some fulfillment companies specialize in one or the other. Thank you for reaching out regarding our warehousing and order fulfillment services. We’re looking forward to talking and learning more about your business. I will have someone from our fulfillment center reach out to you shortly with more information. Thank you! I was planning to start e-commerce site to sell designer watches and jewelry. Just want to inquire whether the methods discussed in this post are beneficial for my business. Thanks for your inquiry. To answer your question on how best to ship products to your customers for your designer watches and jewelry, in general, yes, the methods discussed in this post would apply. That said, with your products, depending on the value, you may also consider adding a signature-required shipping service to your customers to ensure they are home to receive the products when they arrive. Thank you for your inquiry here. This is a great question, and custom packaging is something that a lot of ecommerce sellers consider to help improve the overall branding and presentation of their packages. That customized experience for the customer is the upside. The downside is that it often costs more from an order fulfillment standpoint to use custom packaging. If you’re handling the order fulfillment yourself, you generally have to pay more for that custom packaging than you would for generic packaging. If you’re outsourcing your order fulfillment to a 3PL like eFulfillment Service, you may also have to pay more for the pick/pack fees when using any type of custom packaging. That said, it can be worth the added cost to create that enhanced branding experience, and we go over the different options with our prospective clients during the sales process. During those conversations, we can also discuss how best to ship your products to your customers, from both a cost and delivery speed standpoint. We would be happy to chat further and learn more about your business and makeup brushes. Please feel free to submit a quote request if you’d like and one of our sales folks will reach out shortly. We look forward to talking more!